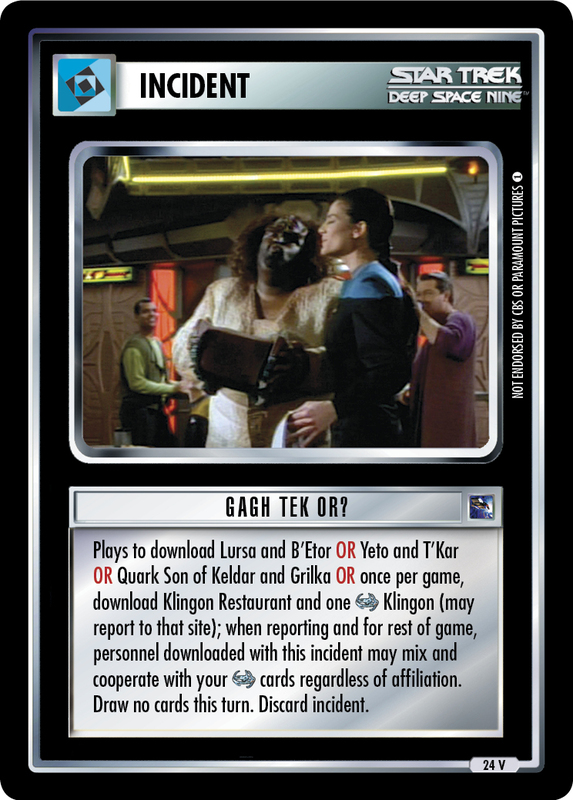 Plays on table; you may download Treaty: Federation/Bajoran. 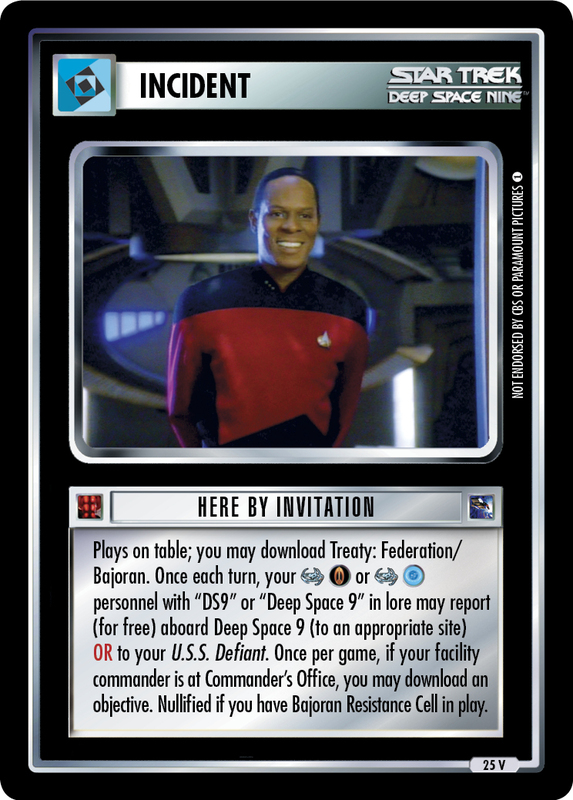 Once each turn, your or personnel with "DS9" or "Deep Space 9" in lore may report (for free) aboard Deep Space 9 (to an appropriate site) OR to your U.S.S. Defiant. Once per game, if your facility commander at Commander's Office, you may download an objective. 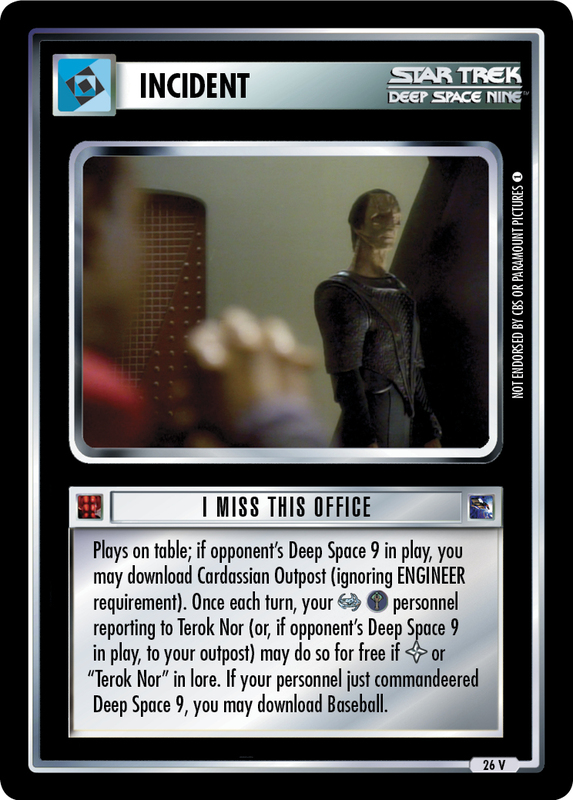 Nullified if you have Bajoran Resistance Cell in play.